With its aim to predict and explore possible futures, science fiction is a powerful genre. This is where Black Mirror is more than just a critically-acclaimed Netflix series. Created by Charlie Brooker, the dystopian series explores the negative implications of technological advancements on the future of humanity. The show is simply one of the most mind-expanding, gripping and unique works of television. It has the power to shift how you think about our species and the kind of future we might create for ourselves. As an anthology series, each standalone episode is a portal into an alternative future with a unique plot, a different setting and new characters. We are left asking ourselves: which of these worlds do we want to live in? What kind of future do we want to avoid? What kind of future do we want to pursue? How can we prevent some of the catastrophic events in these stories? Here are three big themes explored in season three and how they’re connected to our present. The series does an exquisite job of exploring the consequences of a rapidly digitizing world on individual lives. One notable recurring theme of season three is the impact of social media on our collective behavior and the influence it has on group dynamics. As social media becomes an increasingly dominant part of our lives, we see a blurring of lines between our physical and digital realities. This has profound implications on our morality and ethical behavior. “Nosedive,” the first episode of the series, is set in a world where our society runs on social media scores. It tells the story of a social climber who plans a trip to a lush wedding, desperate to boost her online score. In this world, your score—which other people give you after interacting with you—determines your class, the resources you have access to and the kind of life you are allowed to live. A low social media score is equivalent to being poverty-stricken. Like many of the other episodes, such a reality may seem improbable. But the parallels with the world we live in today are ingenious. Social media has come to play a significant role in our lives. As we curate our digital identities, the affirmation we receive on social media can sometimes have an impact on our self-esteem and happiness. “Nosedive” takes this idea even further by depicting a world where our happiness and growth are literally determined by social media. The issue of social media is taken to a different extreme in the episode “Hated in The Nation,” which tells a gripping crime story of the death of a journalist at the center of a social media firestorm. Like many other notable episodes in previous seasons, such as “White Christmas,” the episode makes a significant point: our code of ethics and legal policies need to keep pace with rapidly growing technologies and the digital tools such as social media in our everyday lives. As our tools to push human progress become more powerful, so do their capacities for harm. The season also raises the issue of digital privacy in “Shut Up and Dance,” starring Jerome Flynn and Alex Lawther, which tells the story of a teenage boy being blackmailed by online hackers. The main character is left to choose between carrying out traumatic instructions delivered by text and having his intimate secrets exposed. We are left to wonder: how will our subconscious feelings and hidden desires remain secret in a world where everything is online and vulnerable to surveillance and hacking? This is already an issue. Hacking scandals involving platforms like Wikileaks and breaches by “hacktivist” groups like Anonymous already have the power to do great harm to corporations and individuals. Our devices have become extensions of who we are; they store our identities, our secrets, our memories… private information vulnerable to abuse. How do we protect that information? To what extent do we have the right to privacy? Who has the right to hold us accountable for what we do in the digital realm? Beyond social media and personal devices, season three offers a chilling depiction of the potential consequences of virtual and augmented reality. In the second episode of the season, “Playtest,” a broke American traveler signs up to be an experiment test subject for a revolutionary new gaming system that integrates a virtual experience by directly interfacing with the brain. In “Man Against Fire,” soldiers are fitted with implants in their eyes to assist them in the battlefield through augmented reality. One soldier, however, begins to experience glitches that lead to a shocking revelation about use of the technology. Before we discount the practicality of such technologies, consider that already in 2016, the VR industry received $1.3 billion in investment as big players like Oculus Rift released consumer versions of VR headsets and the secretive Magic Leap raised $793 million for its as-yet-unreleased augmented reality technology. 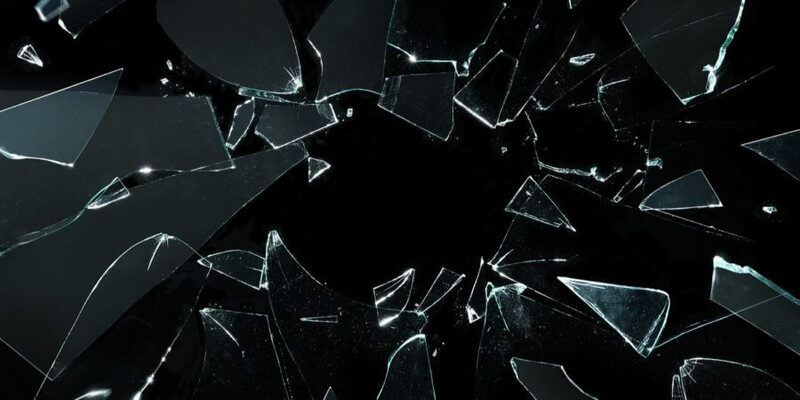 While we are still at the humble beginnings of a form of technology with incredible potential, Black Mirror looks at the potential for abuse of a truly immersive and virtual world. This has to be taken seriously. Should our morality and laws also apply in these digital worlds? Should what happens in the digital world be considered any less “real” than the physical world? These are discussions Black Mirror reminds us we need to have as we move forward with these emerging technologies. The popularity of the series and its ability to resonate with both techies and non-techies can be credited to the fact that its stories go beyond technology. Each episode encompasses themes such as love, violence, or war. They not only show the implications of technological growth on society but also on individuals. Above all, they look at human-level implications. They explore the manner in which technology will disrupt not just entire industries but also our psyches, our identities and our relationships. Perhaps the most notable episode of season three is “San Junipero,” which proves the producers can inspire rather than just scare their audience with the implications of technology. The plot is difficult to analyze without revealing spoilers—but it is a must-watch. “San Junipero” is based in a seaside town in 1987, where two women “strike up a powerful bond that seems to defy the laws of space and time.” Their story makes a strong point: at the end of the day, love is one of the most significant contributors to human happiness. What matters to us is not simply the material possessions of technology, but its ability to enhance our lives and make us and our loved ones happy. “San Junipero” highlights what truly adds meaning to our lives, even when we are consumed by technology. As the name suggests, the series is a “black mirror,” a reflection of society’s weaknesses, frailties and susceptibilities. But it doesn’t do enough to emphasize all the ways in which technology has improved our lives, allowing us to live longer, healthier and more prosperously than ever before. That said, while the dystopian nature of the episodes feeds into the pre-existing paranoia of the general public, it’s important to be aware of the dangers of technology. What better way to explore these dangers before they occur than through speculative fiction? A big takeaway from every tale told in the series is that the greatest threat to humanity does not come from technology, but from ourselves. Ultimately, it all comes down to the decisions we make as a species and how we choose to apply our most powerful tools. Black Mirror is more than just a thrilling watch; it is a compelling work of art that can impact how we decide to move forward and which future we choose.